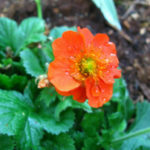 Geum quellyon is a perennial flowering plant up to 2 feet (60 cm) tall, with imparipinnate leaves. 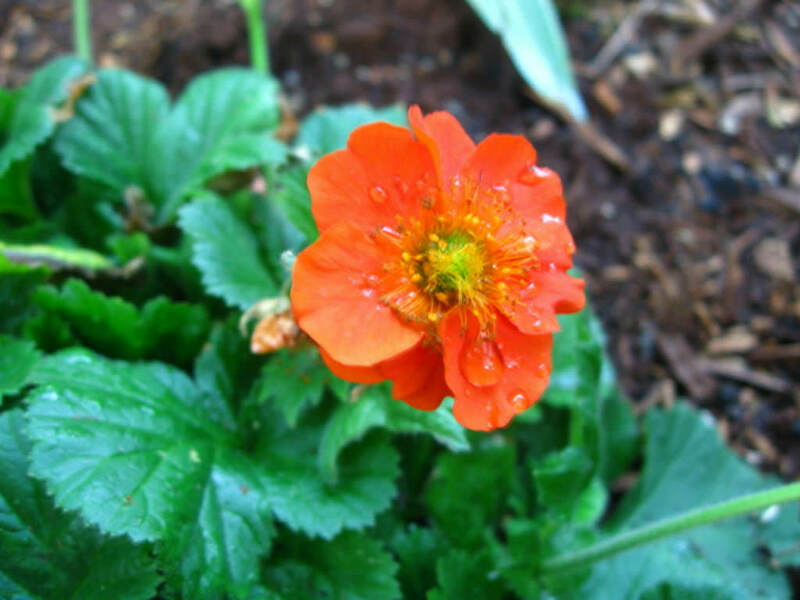 It produces cymes of salmon-red five-stellate flowers from June to August. 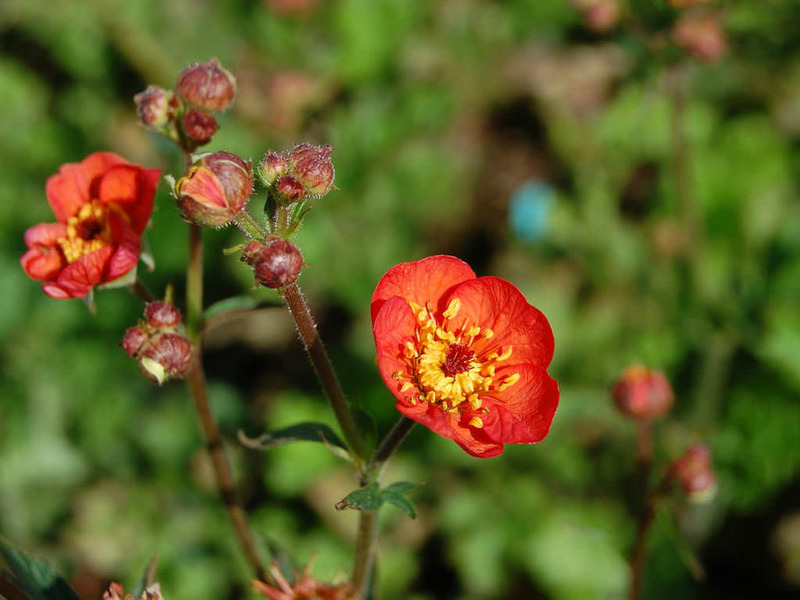 Geums are generally grown as a front of the border plant, where their low foliage and bright flowers make a cheerful edging to flower beds. 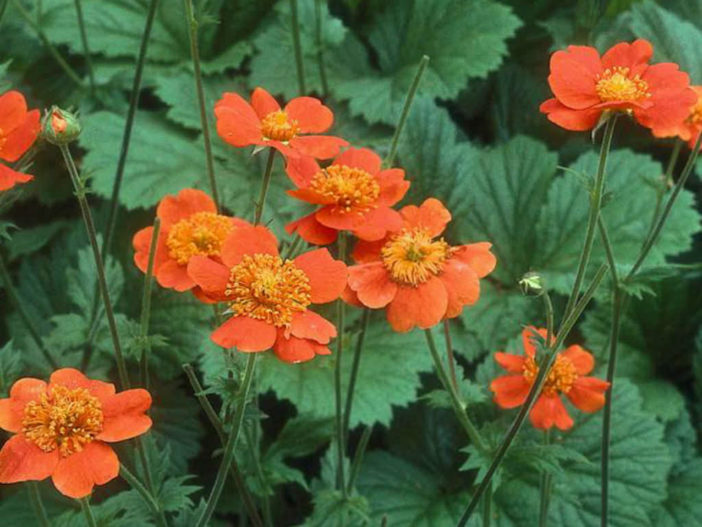 Since it is a small plant, masses of one variety are very effective, though they can also be interspersed with other small-statured annuals and perennials for a cottage garden look. 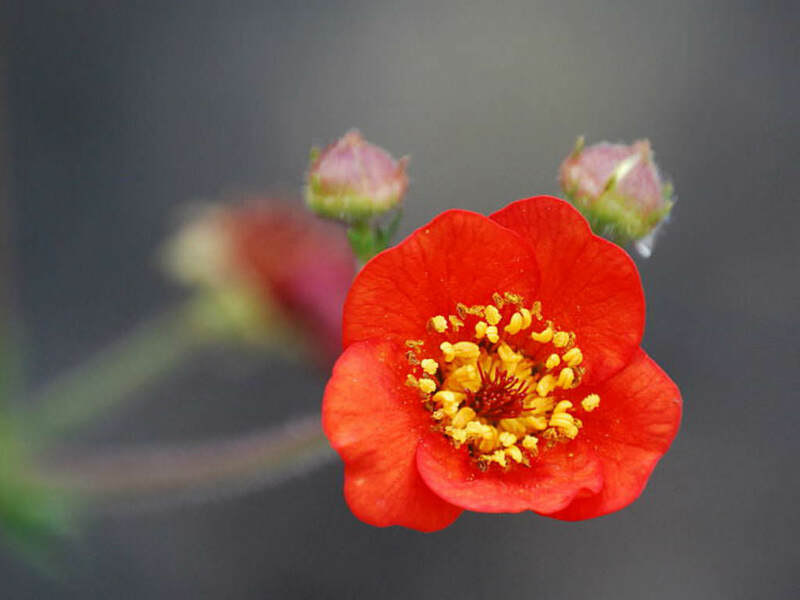 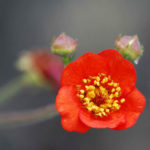 Geums are also excellent in potted arrangements and make great cut flowers… – See more at: How to Grow and Care for Geum. 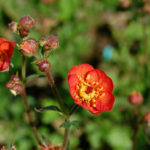 Native to central region of Chile.